Anime Festival Asia 2015 is returning 27 to 29 November 2015 at the Suntec Convention Centre Levels 3 and 4. The moment I have been waiting for has arrived! Anime Festival Asia 2015 is just around the corner. Happening on 27 to 29 November 2015 at the Suntec Singapore Convention Centre, the three-day VIP tickets have started going on sale for fans with great reception (priority to AFA World Members). What’s more, the highly-anticipated I Love Anisong concert refreshes it lineup for a “Reboot”edition, with many presenting a full concert experience in Singapore for the first time! Nendoroid Hatsune Miku: Harvest Moon Ver. Credits: Good Smile Company. While the details for the actual event days are not out yet, I am sure Good Smile Company will be back, along with all our local vendors, for all our retail therapy needs. 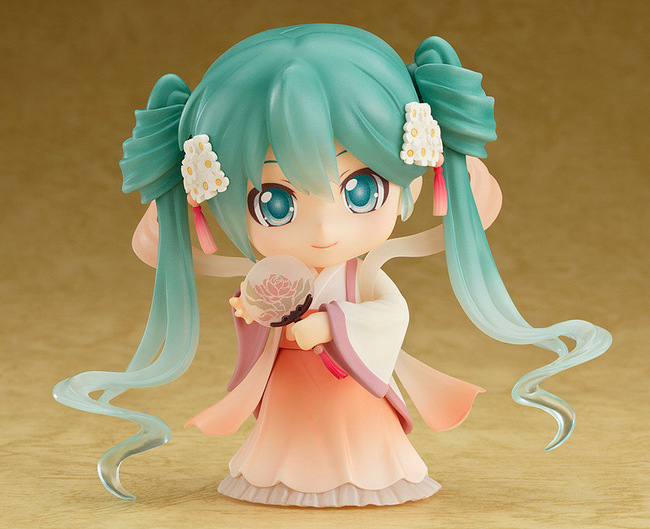 Okay, who else is aiming for the Nendoroid Hatsune Miku : Harvest Moon Ver.? 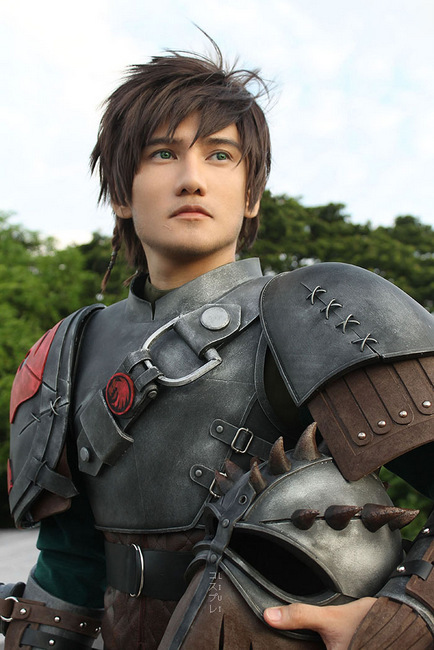 Liui Aquino as Hiccup from How To Train Your Dragon 2. Credits: Liui Aquino. And, to sweeten the deal, cosplay idols KANAME, Angie and Ying Tze will be returning to greet their fans, along with a couple of exciting new guests! I am sure everyone is familiar with Hiccup from How To Train Your Dragon. What about seeing him for real? Liui Aquino, known for his incredibly accurate cosplays of Hiccup, Jack Frost and Hiro Hamada, will be part of the cosplay lineup this year. 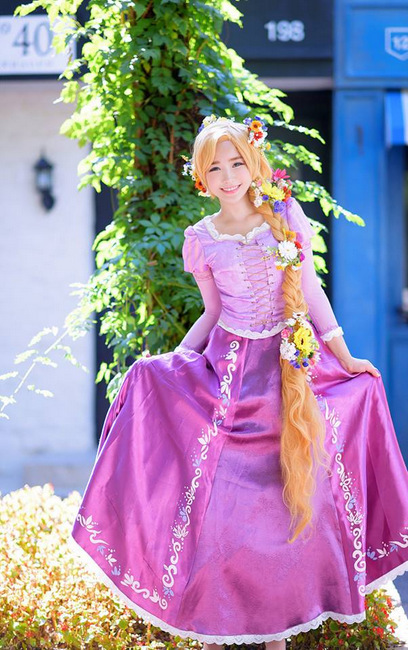 Tomia as Princess Rapunzel from Tangled. Credits: Tomia. Let’s not forget Korea’s Tomia. She has wow-ed international audiences with her sweet demeanor as Kotori Minami from Love Live! School Idol Project, Princess Rapunzel from Tangled and more. GARNiDELiA will be returning to the stage this year at the “I Love AniSong” concert. One of the biggest concert for anime fans has got to be the Anisong concerts every year! On top of GARNiDELiA and May’n, 2015 introduces a breathe of fresh air to the line-up with Singapore’s first concert experience with BACK-ON (Gundam series), bless4, HoneyWorks, ZAQ (Chuunibyou Demo Koi Ga Shittai), P’s Live and, the ever mysterious, nano! It is just a little over the month before the actual event starts. Details are slowly streaming in, and here’s hoping that there’s a whole lot of exciting day stage events this time round. Either way, this is an event all Japanese pop-culture fans have been waiting for and are going to be. Even if you are new or foreign to the whole deal, it is going to be three full days of engaging activities at every corner. So, do yourself a favour and reserve a ticket right now – and, I’ll see you all there! Tickets start from S$13 for festival access and S$58 for the “I Love Anisong Reboot” concert. For more information and updates, check out their Facebook and Official Site.